October 7, 2014	3:31 PM CDT By W. T. Whitney Jr.
Venezuelan National Assembly deputy Robert Serra and companion María Herrera were murdered on October 1 in Caracas. Video cameras showed thugs entering their home and stabbing them multiple times over 15 minutes. Elected in 2010, the 23 year-old Serra was the Assembly’s youngest deputy. Having shined in a 2007 debate on socialism and on the United Socialist Party of Venezuela (PSUV), inspired by President Hugo Chávez, law student Serra joined Chávez’s “Commission on Student and People’s Power.” The eloquent Serra, a leader in combating violent crime, epitomized the youth movement within the PSUV. Speaking at Serra’s funeral on October 3 held in the National Assembly chambers, President Nicolás Maduro vowed action against “terrorist acts” that were “calculated and planned.” Thousands of mourners filled Caracas’s streets that day and the day before. Maduro’s assessment undoubtedly was correct. In fact, Venezuelan circumstances are ripe for terror attacks. The killing took place in the context of efforts by wealthy owners and managers of the country’s still-dominant business and commercial sectors to destabilize Venezuelan society. In early 2014, after election losses a few months earlier, street fighting launched by well-to-do and well-prepared youths took at least 50 lives. Hoarding of saleable goods, engineered shortages, currency manipulation, and encouragement of inflation have continued. The opposition portrays the results of destabilization as advertisements for supposed governmental failings. Yet that government may be gaining in confidence. Community councils, now ubiquitous throughout Venezuela, are enjoying new state funding and backing. Planners are exploring “the model of communal economy.” A survey of opinion registered in late September indicates 71 percent of Venezuelans “recognize the leadership” of President Maduro. With waning electoral expectations, the opposition has broken apart. A conspiratorial wing led by María Corina Machado, recipient of U.S. largesse, and by Leopoldo López, in jail following the recent street fighting, looks abroad for help in bringing down Maduro. Assassinations and attempted killings preceded Serra’s murder. Attackers recently besieged Education Minister Héctor Rodríguez’s house. Price control enforcer Eduardo Samán survived an assault in 2013. Assailants murdered charismatic PSUV politician Eliecer Otaiza in April 2014. They had already killed a bodyguard. Robert Serra knew he was at risk. On September 22, 2014, Interior Minister Miguel Rodríguez Torres released a video from Colombia showing right-wing Venezuelan student activist Lorent Gómez Saleh at a meeting with paramilitaries. He was boasting of his links to ex-Colombian President Alvaro Uribe and his “acquisition of over $8000 USD worth of explosives to use in a ‘social cleansing. '” He also mentioned a 20-person hit list that included Serra. Commenting publicly on the video, Serra may have invited retribution by claiming that Uribe and Colombian paramilitaries were “guilty of war against Venezuela.” After extraditing Gómez Saleh from Colombia, Venezuelan authorities imprisoned him. “We’re not dealing with unfortunate events committed by a common criminal,” announced Interior Minister Rodríguez Torres. 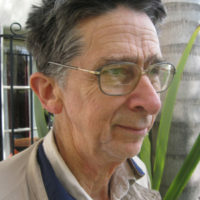 “We are dealing with an intentional murder, planned and executed with great precision.” Furthermore, as suggested by Ernesto Samper, Secretary General of South America’s UNASUR alliance, the “assassination of the young deputy Robert Serra in Venezuela is a worrying sign of infiltration by Colombian paramilitaries.” Samper is a former Colombian president. “Honor and glory for the young Venezuelan revolutionary and his companion María Herrera,” Castro declares. 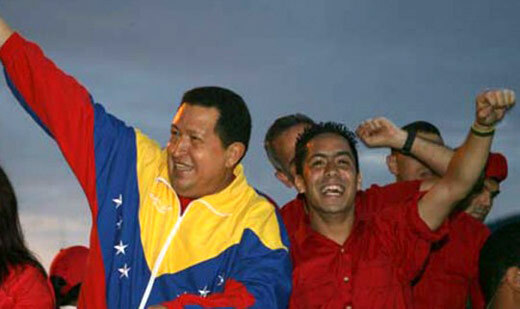 Photo: Hugo Chavez and Robert Serra. PSUV.